Social media affects nearly everything we do nowadays. The outreach you can have for your business quickly launched from local to global with the presence of people all over the world using social media for their everyday needs. Because of this, the way we can grow our businesses has also expanded, and the ways we can use social media to build that foundation and generate growth among our targeted audience has increased. It seems like every day, there’s a new way for us to be harnessing the power of social media for our business needs, and the ways in which social media marketing influencers use these powerful tools differ from person to person. In this seemingly crowded world, though, who can we trust to use this power in the most effective ways? That’s where this list comes in. That’s right—I’ve done it for you! A list of the top social media marketing influencers that are tough on the competition, and are experts in their field. From Facebook to YouTube, to Instagram, to LinkedIn, and just about everything in between, these people are the best of the best when it comes to increasing your growth and spreading your reach across the international grid. Mastering each of these social media platforms is a tall order to complete, but these people know exactly how you can get the best results, and are able to give you a plethora of information that you’re sure to use on your journey into the social media marketing world. Let’s get started! Lindsey Anderson, better known as One-Click Lindsey. 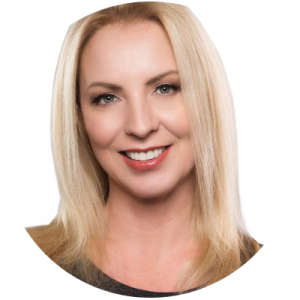 She is an expert when it comes to generating more traffic and leads based on the amazing content you can create, Lindsey Anderson leads the pack when it comes to the top social media marketing experts! The founder of Traffic and Leads, a top digital marketing agency, Lindsey works hard on multiple channels to bring people the best and more relevant information when it comes to upping your social media marketing game. 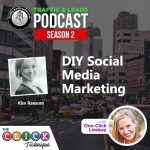 Along with her weekly podcast, The Traffic and Leads Podcast, where she talks to other marketers and gets their take on social media marketing, Lindsey is also the creator of The CLICK Technique (now a book)! 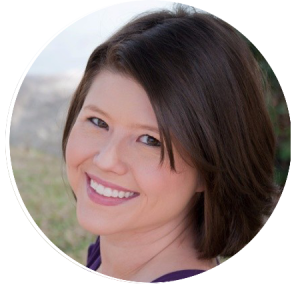 With The CLICK Technique, Lindsey has changed the way business owners monitor their website by giving them an easy to follow the process to create awesome content that brings their website to the surface, as opposed to sitting dead in the water. Get in touch with her today to solve your marketing needs! LinkedIn is a powerful tool that most business owners and entrepreneurs are familiar with. As a key way to find each other, get in touch, and make important network connections, knowing how to use LinkedIn properly is a great way to start your digital marketing journey. Melonie Dodaro is the person to find when taking your first step, and her expertise and no-nonsense attitude easily makes her one of the best social media marketing Websiteinfluencers. Melonie made a name for herself as a speaker, trainer, and an author when it comes to properly use LinkedIn for the best possible results. Additionally, she’s the CEO of Top Dog Social Media, a company that helps B2B sales teams find success with LinkedIn and digital sales. By sharing her step-by-step process, Melonie has cracked the LinkedIn code, and her pattern will help you turn those connections into clients and prospects in no time! Founder and CEO of The Social Media Hat, Mike Allton uses his social media marketing skills regularly to help business owners harness the power of quality and informational content, and transform it into increased traffic and profitable lead generation! By collaborating with his business, you can learn everything you need to know about social media marketing, SEO growth, email marketing, and more, making Mike Allton one of the best social media marketing influencers. Mainly, Mike is a blogging and social media consultant. He’s been successfully running his own blog for quite some time now, and it’s no surprise that a blog heavy marketer like Mike is spreading the word about content marketing. Blog posts and building up viable information is what gets your audience hooked into what you’ve got to say, and learning all about content marketing is crucial if you’re looking into blogging as an option for your business! 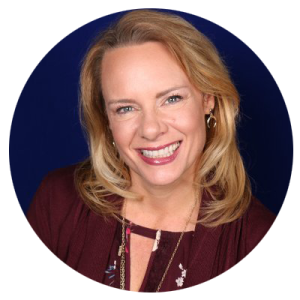 Noted as one of the most in-demand international keynote speakers in the world, Pam Moore’s exceptional experience in the world of social media marketing makes her a wonderful addition to this list. 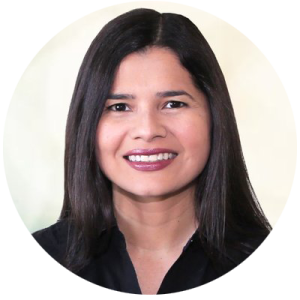 The CEO and founder of Marketing Nutz, Pam works with many top brands to give them the best social media marketing, digital marketing, and consulting that she can provide. Her accomplishments certainly speak for themselves, and that’s only part of what makes Pam one of the best social media marketing influencers. 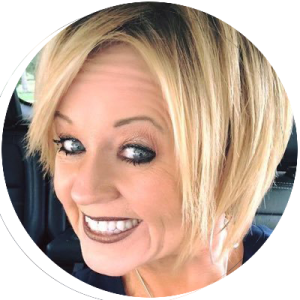 With over 15 years of experience in the digital marketing field—her first digital marketing forray sold in just 2 years!—Pam covers every essential topic that’s related to social media marketing as a whole. 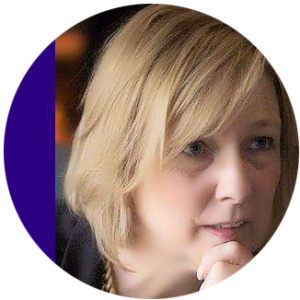 Working for businesses large and small, Pam aims to teach you how to understand social selling, a variety of social media platforms and how you can use those platforms to your advantage, and how to start the conversation around social media topics! When you start to think about social media, you have to understand the foundation for the creation of such a powerful platform. Social media is about just that, being social. It’s about a conversation and making connections with real people. That’s what Bryan Kramer teaches with his business expertise—social media comes down to being able to effectively communicate with one another, and from there, anything is possible. That strong belief, and being able to bring that notion to the forefront, makes Bryan one of the best social media marketing influencers. With a number of best selling books on the topic, Bryan speaks proudly about his expertise as a keynote speaker, and a business strategist. Bryan is also the founder and CEO of PureMatter, a marketing consulting agency that helps business owners with planning their marketing campaign, as well as content marketing and social media marketing. Bryan is a jack of all trades in the social media marketing world, and keeping him on your radar is always a good idea. It’s hard to make a list of the best social media marketing influencers without including Gary Vaynerchuk. By building his own communications and media empire, Gary has quickly climbed the ranks in digital marketing, earning a spot as a Fortune 500 seller to some of the biggest brands in the world. 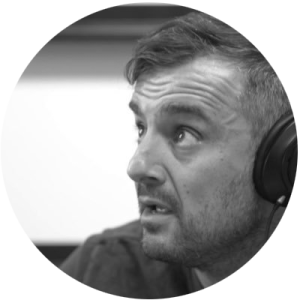 Additionally, Gary hosts his own podcast—AskGaryVee—in which he answers honest questions about marketing and entrepreneurship sent to him by inquiring minds. If it exists in the social media marketing sphere, Gary’s on it. His media agency, Vayner Media, is a full-service digital agency that strives to help businesses and brands find their footing in the new world of marketing we’ve found ourselves in. By covering topics like eCommerce, analytics, and social media campaigns, Gary aims to cover as many bases as possible in order to give people an edge up against the competition when the game starts. Marketing starts with talking to people who you believe you can help, and an open and honest relationship between you, the business owner, and your client can make or break how successful the entire process is. That’s what Neil Patel believes in, and that’s what his marketing agency is all about. By only taking on clients that they know they can help, Neil proves himself as an honest marketer, and one of the best social media marketing influencers of this year. 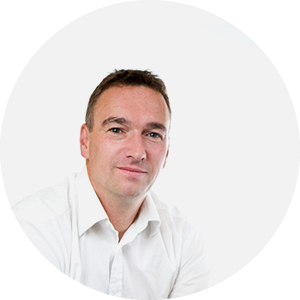 With over 17 years of experience, Neil started his marketing journey when he was just 16 years old! After teaching himself the basics of marketing, Neil proceeded to team up with his now co-founder Mike Kamo to create a marketing agency for people, by people. Their focus remains with growing clients, and providing an ROI, giving them a sense of security and ease in just how efficient they can be as a team. By helping clients grow their traffic and maintaining an open flow of communication while doing so, Neil has changed the marketing game and certainly made a name for himself while doing it. You may like 50 Top Instagram Marketing Tools to Skyrocket Your Instagram Marketing. A large part of marketing is getting the word out about your brand, and what services you can offer to those who need their problems fixed. 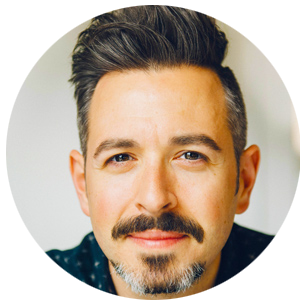 Making those campaigns repeatedly interesting and creative can seem impossible, but Rand Fishkin has come up with a way to keep that loop constantly spinning. By providing marketing strategies to people all around the world, Rand is improving the way people represent themselves on social media, making him one of the best social media marketing influencers. Rand is the CEO and co-founder of the tech start-up SparkToro, an agency that aims to help you with your organization. By pinpointing where your audience spends the most time on your content, pages, and website, SparkToro can help make your marketing efforts a lot more targeted and specific to those needs, giving you quality leads while ensuring that you’re answering questions that current clients haven’t even asked yet. Additionally, SparkToro focuses on social outreach and building strong relationships in your feelings, and other fields as well. By applying those connections to your content, and content curation, you’re making a strong stamp on your social media presence. 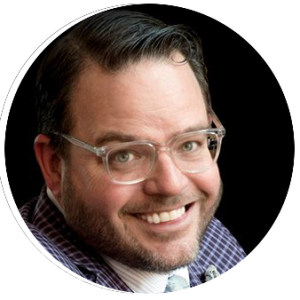 When it comes to the best social media marketing influencers, Jay Baer is among the best of the best in this field. A best selling author, a content marketing extraordinaire, and the most retweeted person in the world among the digital marketing Twitter-sphere, Jay has more than proved his worth in the realm of digital marketing. He’s an expert on customer service, and more often than not gives keynote speeches on how you can turn the new world of constant customer interaction into a great turn around for sales and traffic. Additionally, Jay is an amazing content marketer. With his podcast, Social Pros, you can listen in to get the best tips and tricks from the top people in the social media marketing world. Jay’s blog, Convince & Convert, was also named the #1 content marketing blog across the board, and you can read along to see how content marketing can change the game, and what constitutes a good piece of content that you can share across all social media platforms. Being able to understand how social media marketing works start with maybe the biggest social media platform there is—Google. And understanding how to rank on Google, how to effectively use keywords in your content to make yourself stand out, and how to operate Google analytics is something that all digital marketers should know. Lucky for you, that’s exactly what Aleyda Solis exceeds in. As an SEO expert, Aleyda is internationally ranked among the best and has proven herself as one of the best social media marketing influencers. On top of being an amazing speaker and teacher, Aledya is the founder of Orianti, a boutique styled marketing agency. Their aim is to help their clients achieve optimal growth through SEO practices, like online search visibility, and profits gained from proper SEO tactics. Being able to understand the search engine algorithm is an important part of playing the digital marketing game, but instead of guessing what works and wasting time doing so, trust Aleyda to lead you in the right direction. There’s never enough information out there about how to efficiently run a blog, and Liz Strauss proves that her expertise on the subject of content marketing and making the most use out of sharing information with an audience is always a viable option. 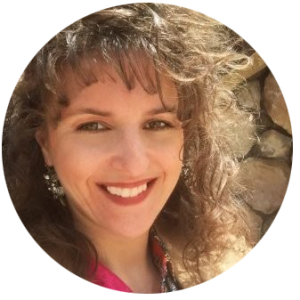 With over 20 years of experience, Liz has created a blogging empire, with her own posts receiving thousands of comments regularly. This legacy has given her a platform to share her techniques with business owners looking to get ahead, and for that alone, she is definitely one of the best social media marketing influencers. Liz collaborates with business, universities, and entrepreneurs on the topic of blogging, and by teaching them how a combination of informational text and images can correlate to their overall marketing campaign in the social sphere, Liz is changing the way people look at blogging. Additionally, Liz is the CEO and founder of GeniusShared, an exclusive community of people who are committed to helping to build each other’s businesses while also maintaining their own. The strongest part about being a social media marketer revolves around content creation and curation—making sure that what you’re putting out there is content that’s valuable, and content that will speak to your audience, is vital to making sure that the content succeeds. Ann Smarty, a resident SEO expert, knows exactly what that’s like, and can offer her services in the world of social media marketing as a whole, as well as specifics in content marketing, and content creation. 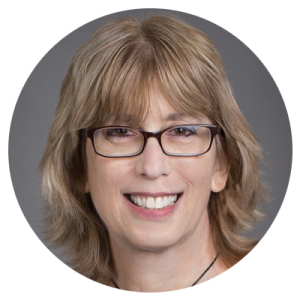 Author of her own blog, SEO Smarty, for many years, Ann has been in the social media marketing game for over a decade now. 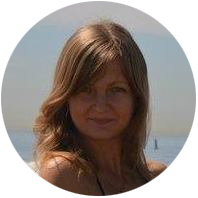 Her expertise lies in working with SEO blogging and content, and Ann has been blogging in English—her second language, as she originally hails from Ukraine—for four years now. Combined with her SEO knowledge, Ann has also been involved with the social media marketing community, where she’s forged a lot of strong relationships and foundations to build on. Content creation her game, there, and Ann has some of the best tips for business owners looking to get their start in the content marketing game. 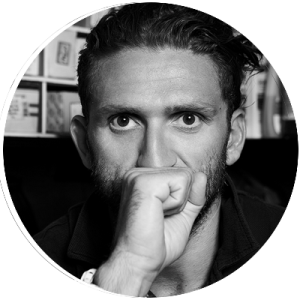 A YouTube sensation, Casey Neistat rose to popularity with his vlog-style channel, sharing his day to day experiences with millions of viewers. Since then, Casey has expanded his career into the realm of marketing, and Casey has worked with some of the top brands in the world on advertisement campaigns, as well as teaching his 10 million subscribers the best way to use YouTube for marketing. By breaking into a medium that has yet to really be fully emerged in the digital marketing sphere, Casey has definitely proven himself as one of the best social media marketing influencers. With constant uploads of new content every day, Casey makes sure that you know consistency is the key. With his various styles of content, Casey can also teach the masses how to most effectively use the YouTube platform to their advantage. Breaking into the film medium as a way to exercise your digital marketing skills is still relatively unheard of, so taking advantage of that open space is crucial in a time like this. 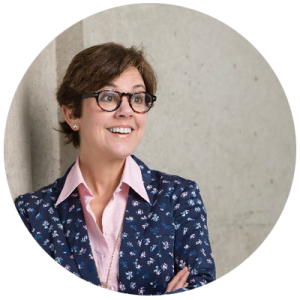 Ann Handley is a true entrepreneur in the world of digital marketing. By creating one of the first spaces for digital marketing back in 2000, Ann has stayed relevant with her wealth of knowledge and experience. Most recently, she’s known for being the CEO and founder of MarketingProfs, a marketing training, and education company that works with businesses to get them on the right track when it comes to B2B marketing. Her contributions to the marketing world are countless, making her one of the best social media marketing influencers. Ann is a large proponent of content marketing as well. A Wall Street Journal bestseller, Ann gives her best tips and tricks on how to write the best content ever in her book: Everybody Writes: Your Go-To Guide to Creating Ridiculously Good Content. By pumping your content full of amazing information that’s both educational and exciting to read, you can ensure more growth and traffic towards your blog from various social media platforms. 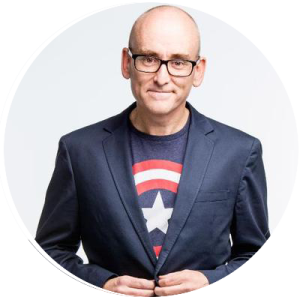 A full-time blogger since 2004, Darren Rowse knows everything there is to know about building a popular and strong blogging platform. It may sound redundant to blog about the art of blogging, but that’s exactly what Darren does—by writing out what it takes to operate an informative yet interactive blog, Darren provides business owners and entrepreneurs alike with a strong base of where they should start, how they should operate their blog, and the best way to present content in a visual form, making him one of the best social media marketing influencers. The wonderful thing about Darren’s blog, ProBlogger, is just how thorough he is with his explanations. From a beginner’s guide to blogging, to more intense subjects like SEO, using social media to grow your blog, and how to make a profit with blogging (just like he does), Darren makes sure to cover all the bases on this very popular tried and true tradition of digital marketing. Being able to use software to help your social media marketing is key to finding a balance in success, and being able to actually do everything that needs to be done. Barry Schwartz is one of many people who has found a way to help digital marketers find success with social media marketing by creating a software that helps with many aspects of the process. 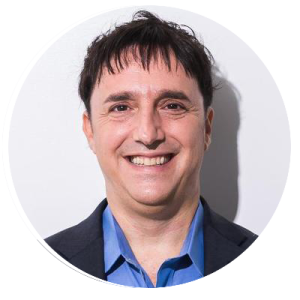 By combining the power of SEO with things like social media management and custom content creation, Barry Schwartz has earned his spot among the best social media marketing influencers. Barry is the CEO of RustyBrick, a New York-based service firm that specializes in customized online technology. This technology aids businesses and business owners alike decrease costs and increase sales by helping with things like social networking sites, custom web-based business software, custom content management systems, and so much more! Additionally, Barry also runs the Search Engine Round Table—a popular search blog on very advanced SEM topics. When social media first became a powerful force, Jeff Bullas was there to witness the changing of the tides. With a small amount of money (a literal $10 investment), Jeff began a community around the topic of social media, and how we can use it to communicate to literally anyone across the globe. Since then, Jeff has built his blog up to 600,000 subscribers, with millions of visitors to boot! His presence, experience, and knowledge are vast and expansive, making him one of the best social media marketing influencers. By starting the conversation around what social media platforms can do for you as a business, and as a person, Jeff has climbed up the ranks in content marketing, competing among the best of the best in the business. With a strong focus on how we harness the power of social media to empower our business campaigns, Jeff aims to teach entrepreneurs how to grow their business—and improve their lives in the process—in a new digital world. Trust me when I say that his tips and tricks on social media marketing and content marketing can change the way you create! What started out as a career in journalism turned into a career in researching SEO (before people, Danny included, even knew was SEO was). 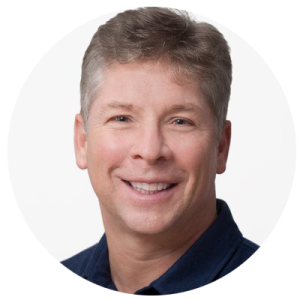 Now, Danny Sullivan works for the ever powerful Google as a feedback analyst for the power of search, as well as educating the masses on what search is, and how it can help you and your business in the long and short run. For all the contributions he’s made to the social marketing sphere, Danny is definitely one of the best social media marketing influencers. After his first foray into the world of marketing ended in 2005, Danny founded Third Door Media in 2006. Third Door Media provides a variety of marketing information to brands and businesses alike, teaching the masses on things like SEO tactics, marketing technology, and a massive index of current digital marketing news, and top digital marketing influencers. After stepping down as a chief content creator in 2016, Danny has been lending his services to Google (as stated above). Danny’s been around since before people knew what SEO was called, and that sort of knowledge can’t be sold or taught. One of the most important aspects of social media is the ability to communicate with clients and visitors through private channels, giving both you a sense of security as well as a direct line from an owner, to a customer. Larry Kim has seemingly cracked that code by combining the powerful tool of Facebook Messenger with businesses, allowing you to create chatbots that will interact with customers and answer common questions they might have, as well as training these bots how to promote the content you’ve recently written and shared across social media. With his contributions to the social media marketing world, it’s easy to see why Larry is one oWef the best social media marketing influencers. The founder of MobileMonkey, Larry has devised a way for business owners to use Facebook Messenger as a way to communicate with potential customers, as well as customers that are already established. Additionally, Larry was previously the founder of WordStream, a way to make online advertising easier. By helping with your Facebook campaign, as well as Google Adwords, you can gain control over your algorithm, and figure out what content works best for you. Businesses start with an idea, they don’t just sprout up out of the grown. 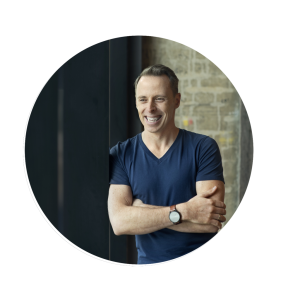 Entrepreneur and influential speaker John Rampton know all about how to get a business going, and his thorough knowledge of digital marketing can help businesses owners large and small grow their ideas into fully fledged profit machines. Undergoing a personal tragedy helped John start his knowledge, based solely on the fact that his computer use was the only way for him to make a career. With his research came passion, and with his triumph over his injury, John has become one of the best social media marketing influencers. By working closely with business owners and entrepreneurs, John has the passion and the determination to turn your idea into a fully fledged company, giving you a stable career and—ultimately—a 6 figure stream. It’s easy to see how much John cares about his work in the way that he speaks, and his feature as a keynote speaker on such important topics like content, social media, and public relationships can help business owners across the spectrum as they proceed into the future. 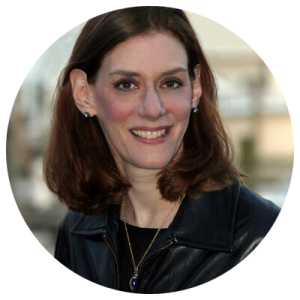 A content expert, Heidi Cohen has been in the content marketing game since she was a little kid! Not professionally, of course, but her love of writing and creating started very young, and that passion has lead to a career in the digital marketing space. Her experience in the marketing and writing field starts at age 18, and since then, Heidi has built her profile across several top name brands, giving her a cutting-edge feel for content in the modern space. Her crafty ideas and deep insight on what makes content so great, and how to use said content to your business advantage, makes her one of the best social media marketing influencers. 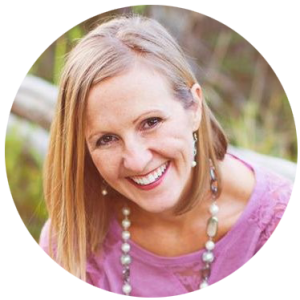 With her Actionable Marketing Guide newsletter, Heidi is able to give away her best marketing tips and tricks to her readers. 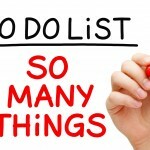 “Actionable” tips are important to have on hand, as these are things you can do by yourself in a matter of moments, making them quick and efficient in your everyday marketing campaign. By making the newsletter about you, the readers, Heidi also gives you content catered specifically towards your needs, while also educating you on little things you wouldn’t think about before, but can no longer live without in your office. 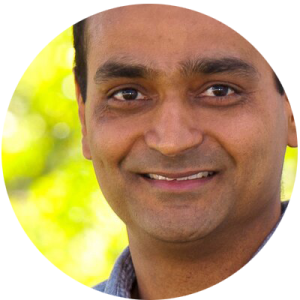 The recently coined “Digital Marketing Evangelist for Google”, and co-founder of the online educational platform Market Motive, Avinash Kaushik has made a name for himself in the digital marketing sphere with his expertise in web analytics. His two best selling books—Web Analytics 2.0, and Web Analytics: An Hour A Day—have really given way to some of the best digital marketing breakthroughs, and Avinash aims to help marketers, business owners, and entrepreneurs reinvent their digital existence with extensive knowledge on the way the internet works, and harnessing that power for digital marketing with his blog, Occam’s Razor. His intense research and energetic personality have proven successful over the years, and for that reason, he’s one of the best social media marketing influencers. 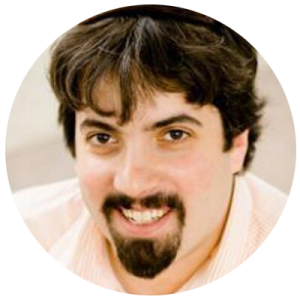 Analytics is a game that everyone should know how to play, and Justin Cutroni is also an analytics expert on the Google team! 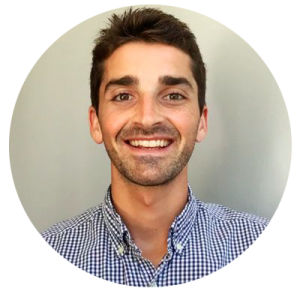 More properly, he’s the Analytics Advocate at Google headquarters, and Justin works carefully with a litany of subjects, some of them being driving content strategy, and working with sales and marketing to evangelize analytics products. A speaker, as well as an author, Justin is a viable source of information, making him one of the best social media marketing influencers. Scott Stratten is truly one of a kind. 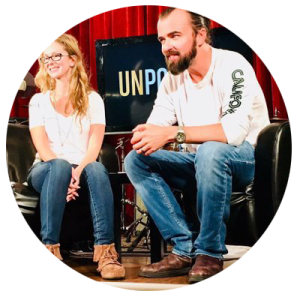 With a best selling series of books that tears marketing apart, only to sew it back up again in a way that everyone can understand, Scott and his wife Allison have redefined what it means to be an entrepreneur, and a business owner, with their company UnMarketing. Seamlessly blending comedy with actionable information, Scott is able to give the best of the best (like Microsoft, and PepsiCo) advice on how to effectively run their marketing, and what they should and should not be doing. In fact, Scott might be the only marketer on the scene that’s written an entire book dedicated solely to what marketers and business owners shouldn’t do, lest they run their business into the ground. 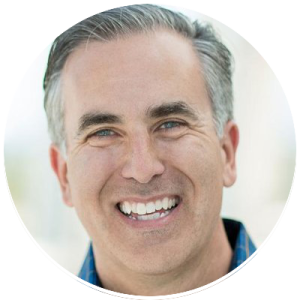 With real examples, hard determination, and a large keynote speaker circuit, Scott is easily one of the best social media marketing influencers. Growing your own business in a fast-paced world like today’s can be challenging if you don’t know where to start. Luckily, there are people in this world like Chris Ducker who can detail his own journey, and help you along the way with his own experiences. After finding himself on the edge of a burnout, Chris Ducker removed himself from his brand in just under a year, giving himself time to relax and be with his family. By embracing the internet—something he claims was hard at first for someone so locked into a brick and mortar ideal—and understanding the way social media works and affects our digital businesses, Chris made a name for himself, and launched another successful business along the way. His hard work and dedication to teaching personal brand entrepreneurs how to do the same thing he has with success make him one of the best social media marketing influencers. 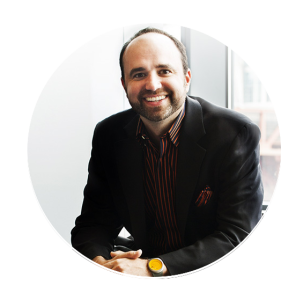 The “Content Marketing Evangelist”, and one of the leaders of the content marketing movement, Joe Pulizzi is easily one of the best social media marketing influencers. 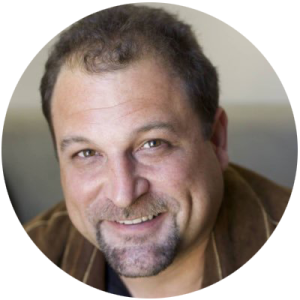 An entrepreneur, speaker, and founder of the Content Marketing Institute, Joe is the best of the best in the content marketing game, with a multitude of streams to prove his expertise and knowledge on the subject. By starting his research in 2001, Joe effectively put himself at the beginning of the game, which has now lead to multiple successes along the line, and a top rated content marketing blog. Joe effectively pinpoints how content marketing works while answering questions that people seem to have, whether they’re just starting in the game, or whether they’re trying to leverage how much they should be spending on content, and where they should be sharing it to get the best results. As the leading global content marketing training and education program, Joe and the Content Marketing Institute are changing lives every day by teaching brands how to gain a favorable audience through the art of storytelling. The founder of RazorSocial, as well as a guest blogger on Entrepreneur.com, Ian Cleary works passionately in the field of content and influencer marketing. By working with some of the industries top brands, Ian has been able to service the digital marketing world in the best tips and tricks on social media marketing, and what it takes to get your name out there in the social sphere. 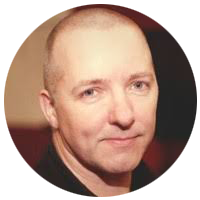 Additionally, Ian works closely with businesses to gain more inbound traffic and sales through the creation of amazing content, making him one of the best social media marketing influencers. 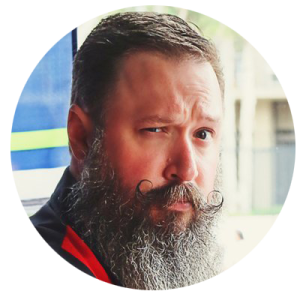 With his 15 years of experience, Ian runs RazorSocial to help businesses improve their digital marketing strategies by producing and creating content that’s valuable, informational, and attractive to customers new and old. Additionally, Ian combines that content with the power of reaching out across social platforms, building relationships, and using those connections to spread the word about your business, and what you can do to help those who need assistance. Small businesses and family-owned businesses don’t always get the luxury and attention that national brands can get. Luckily, Ray Hirsh specializes in that exact field, and with his marketing agency—Feet On The Street Marketing—he’s bringing his 25 years of expertise to small businesses owners. By giving them a hand in playing the competitive game, and giving them an edge up in the world of digital and social media marketing, Ray is catering to a specific demographic that often gets left out of big picture conversations. By using his experience as a small business owner (he’s successfully started a handful of his own businesses), he can anticipate what kind of hurdles small business owners will have to jump through to maintain longevity, and Ray is here to ensure that the clients he works with can stand the test of time. By focusing on things like sales and marketing consultation and PR services, Ray is leaving his mark on a demographic that’s just as large and growing as anyone else, making him one of the best social media marketing influencers. On the other end of the spectrum, collaborating with the top brands in the world can give you a different side of the marketing experience, and Ehsan Jahandarpour is no stranger to what it feels like. 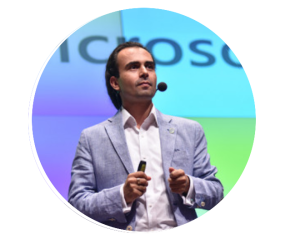 A growth hacking expert, Ehsan has worked with the likes of Microsoft to increase growth in the best ways that he knows how—by focusing on mindset and strategy to achieve the best of the best when it comes to results. His efficient and dedicated work definitely makes him one of the best social media marketing influencers, and all around digital marketers as well. 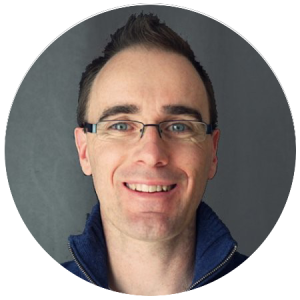 His blog provides readers and business owners alike with real-life situations that he’s been through, and the growth hacking strategies that he’s used to propelling the best of the best to the top of the business ladder. Working intimately with a business in order to help them reach a larger audience is only half of the deal—Ehsan also works with business owners to train them on his amazing growth hacking ways, as well as giving speeches as a keynote speaker to spread his message and experience across the board. 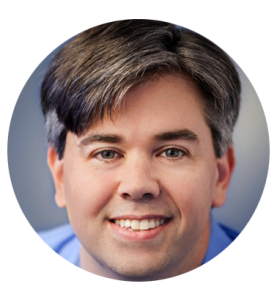 With over 20 years of SEO experience, Bill Slawski is not only the director of search marketing at Go Fish Digital, but also the editor of the massively popular search engine optimization blog, SEO by the Sea. With his years of knowledge about the topic of search engine optimization, Bill has helped dozens of marketers, entrepreneurs, and clients in the ways of expertly understanding how to create and optimize content for search engines, making him one of the best social media marketing influencers. Bill is able to speak at lengths about a variety of topics that surround SEO, including—but not limited to—personalization in search, duplicate content problems, and search engine algorithms. What makes Bill stand out among the crowd of people who claim to be SEO experts is the intense research and data he provides with his ideas, thoughts, and tips on what to do in order to make things better for your business. His blog, which contains over 1,00 posts, gives an abundance of information on the overall topic of SEO, giving readers and marketers alike a large pool of education to learn from. Part of being in the social media sphere is having content that’s worthwhile. However, when you’re a busy business owner, you don’t always have the time to write that content yourself, and that’s okay. That’s where talented people like Kristi Hines come in! 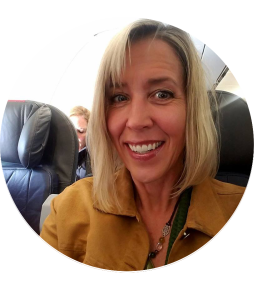 A copywriter, freelancer, and ghostwriter with over 9 years of experience in the digital marketing field, Kristi is exceptionally talented in creating content that’s valuable, lead generating, and seamless with what you’re looking for. For that reason alone, Kristi is definitely one of the top social media marketing influencers. Her topics range across the entire digital marketing spectrum—analytics, blogging, social media, optimization, link building, email marketing, eCommerce, and so much more. Additionally, the types of content she can produce are just as limitless! Whether it’s long-form blog content, email newsletters, a landing page, or post specifically created for sharing on social media, Kristi has got you covered. 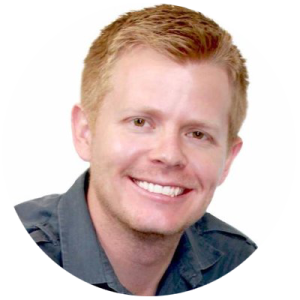 Co-author of Influence Marketing: How to Create, Manage and Measure Brand Influencers in Social Media Marketing, Danny Brown has done amazing things in the world of digital marketing, and social media marketing. Danny started off his career with writing about the influence that social media marketing has on today’s businesses, and now dedicates his time towards helping those businesses become bigger and better, while also associating with WordPress as well. His contributions to the marketing game absolutely make him one of the top social media marketing influencers. His aforementioned book was determined as a guide to the way that business is changing, and how business owners will conduct their digital marketing in the future. Understanding the way social media works and keeping up with its constant changes is the best way to stay ahead of the game, and dedicated people like Danny are here to make sure that business owners who don’t always have the time to keep a close eye on every moving part can stay ahead of the game. Having someone on your team that understands the numbers and the algorithms behind marketing as a whole can never be a bad thing. 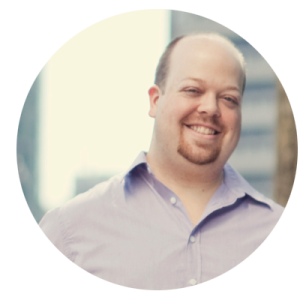 AJ Kohn has been around since the beginning—from telemarketing to cold emails, to what digital marketing is now. By combining his understanding of data with his want and need to be creative in the process, AJ Kohn has given people the upper hand in SEO and search marketing with his marketing business, Blind Five Year Old. Due to his hard work, he’s definitely deserving as one of the best social media marketing influencers. With his marketing company, AJ offers a varied SEO based services, as well as marketing and product strategy. Combining the best of both worlds in order to know how to market your services in a way that will make effective sales and relationships between clients is part of the entire marketing process, and AJ’s found a way to do it seamlessly. Founder and creator of Israel based SEO marketing company InboundJunction, Nadav Dakner has made his stamp on the digital marketing world with his services and allowing businesses to harness the power of content marketing to further improve their reach on the internet. This social media marketing influencer works closely with brands to increase their online visibility, and that all starts with how strong their presence is on social media. After all, driving traffic back to your website is only half the equation—sending people there from a large platform is the best way to secure that traffic, and garner interest from people who might not go searching otherwise. In addition to content marketing, Nadav also offers SEO services in order to help you rank better on Google and catch people’s attention, as well as working closely with public relations to connect you with the best and the brightest in the digital marketing world! 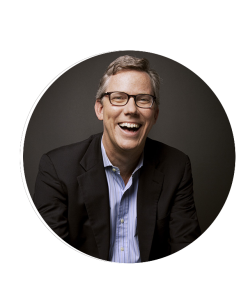 Co-founder and CEO of the digital marketing company HubSpot, Brian Halligan has made a name for himself as one of the top social media marketing influencers. In addition to co-authoring several books about social media’s influences on digital marketing, Brian has dedicated his time and career in helping people get back into digital marketing with new tactics and staying on top of the game in a world where not only is the technology getting smarter, but the audience as well. HubSpot came to be when Brian and his team noticed that their outreaches were being not only ignored but blocked. Things like cold calling and cold email blasts were a thing of the past, and their angle of disruptive marketing was being shut down. By taking a step into the future and figuring out effective ways to make that outreach, Brian and HubSpot have helped business owners far and wide with their marketing tools, expertise, and software technology! There’s no other way to describe Peter Shankman that’s not one of the best social media marketing influencers. 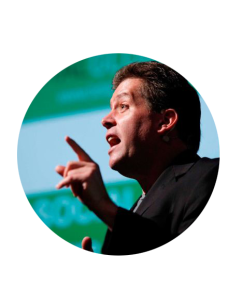 With his own keynote speaking circuit, a boutique social media marketing company based in New York, and a successful marketing blog that generates daily conversations in the social and digital marketing community, Peter Shankman is a tour de force of energy, education, and straight up professionalism. He’s a staple of our community, and there’s no denying that he’s simply the best of the best at what he does. In addition to working with high profile clients and brands on their social media marketing strategy, Peter is also best known for Help A Reporter Out. Quoted as the largest free source repository in the world, Peter created HARO in just under a year. It serves as a database for journalists and writers alike to find credited and secure sources for any topic they might be researching and writing about. His contributions stretch all over the digital sphere, and Peter does amazing work in each of these fields. Founder of Sweet Fish Media, James Carbary is working the new digital scene by bringing the process of podcasts to the main stage. By encouraging B2B marketing teams break through and get their names on the map through education about podcasts, why they’re effective, and hosting their own podcast where marketers can give their own experiences and testimonials, James Carbary is aiming to bring the marketing world one more step into the future making him one of the top social media marketing influencers. As you may already know, I’m a big podcast supporter! And utilizing the power of your own experience and education to further the progress of someone else’s marketing career is simple, easy, and effective! By also collaborating with the best of the best in your field, you can give people an inside scoop on what they can expect to encounter in specific marketing situations, and pitfalls these people have already fallen into that you can now avoid through practice and education! Founder and CEO of AWA Digital, Dan Croxen-John started his company back in 2007 when it was nothing more than a passion project of a start-up. Now, AWA Digital works with some of the biggest brands with offices around the world, helping them with services like conversion rate optimization, analytics, and training to become proficient in both of those fields. 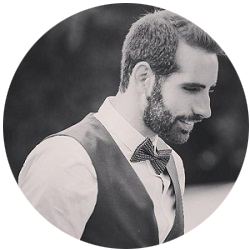 By working closely with clients and garnering an extremely dedicated team of people—as well as working by himself as a keynote speaker on his expertise in conversion rate optimization—Dan has made a name for himself as one of the top social media marketing influencers, Website | and a digital marketing superstar! 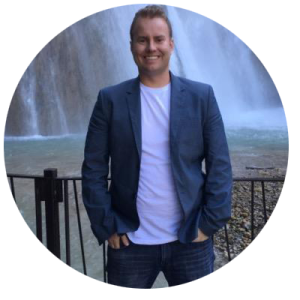 With his CEO experience under his belt, Dan easily leads room with the profound belief that the correct usage and application of CRO (conversion rate optimization) can build and grow any business, any size, anywhere. This experience has also given him a chance to become a bestselling author, allowing him to share all of his amazing tips and tricks in “E-Commerce Website Optimization: Why 95% of Your Website Visitors Don’t Buy – And What You Can Do About It”. On the other end of the marketing, spectrum comes to content marketing expert Brittany Berger. Brittany boldly claims that content marketing isn’t so much about writing content, but about using that content to create leads, traffic, and success for your business. A social media marketing influencer, Brittany encourages marketers to hop off their creative wheel when it comes to constantly write content and to, instead, create just the right amount of content you can in order to leverage that content for awesome and amazing results. By diving head first into the content you’ve created, Brittany gives it a bit of a makeover and a facelift! With simple things like making sure your subheadings are in the right order, and that crossover promotions are spread out in the right places (and done tastefully in the process), Brittany remixes what you’ve already created into something better. Something that will actually bring back the success you’re aiming towards with the amount of content you’re creating! Being able to start a conversation around something that not many people are really tapping into gives you a power and a platform to lead the journey. That’s exactly what Michael Stelzner did with his creation of the Social Media Examiner, a daily resource for any and all of your social media marketing teams. Michael is easily one of the top social media marketing influencers in this day and age by providing endless content to thousands of subscribers by teaching business owners, entrepreneurs, marketers, and everyone in between the best ways to utilize and leverage social media for any of your marketing endeavors. Michael started this company back in 2009, amidst the Great Recession. During that time, Michael quickly picked up on people voicing their dislikes about social media, but rarely saw anyone commenting on how powerful and useful social media could be in the world of online business and marketing! Since then, he’s amassed over 450,000 email subscribers and is constantly serving them original and comprehensive articles, expert interviews, original research, and the required news needed to improve your social media marketing. 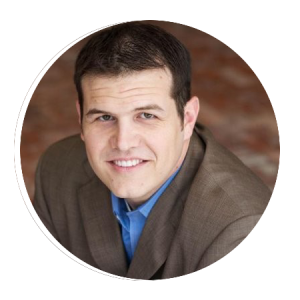 One half of the digital marketing team behind Kelley & Kelley Marketing, Brian Kelley is the digital marketing expert, and vice president, of this amazing digital marketing company. With a combined 40 years between him and his president, Liz Kelley, Brian works hard from the standpoint of an entrepreneur, making sure that businesses have every possible option viable to them when attempting their marketing campaigns. By treating every client they receive like a Fortune 500 brand, Brian can use his grassroots approach to ensure that the businesses he works with not only feel important but also get the results he’s promised them, making him among the best social media marketing influencers. With 4 distinct stops in their journey, Kelley & Kelley Marketing curates the best possible plan to improve your overall media campaign, brand strategy, digital marketing, and advertising campaign. With careful attention to detail—and an organized spreadsheet complete with a deadline so you know they’re working their hardest—Brian changes the lives of business owners with his uniquely personal approach to marketing. 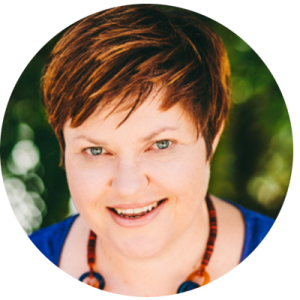 Looking out for businesses big and small is an important task that digital marketers have to take on, and Australian native Ashley Faulkes makes sure that small businesses can succeed with online marketing by creating and teaching business owners how to create a presence on WordPress! A popular choice among social media marketing influencers, WordPress is the best way to create an accessible website that’s easy to use, aesthetically pleasing, and (for the most part) free, with amazing tools that help you customize your website to your heart’s content! 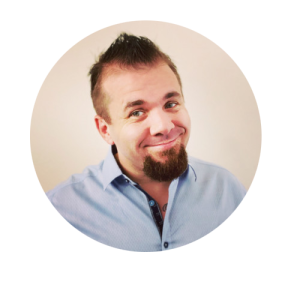 Ashley strives for simplicity with his company Mad Lemmings, choosing to focus on high conversion rates and generating quality leads with the websites that he helps create. By focusing on what will drive people to your website, and the message that you want to be sending and receiving in the process, Ashley uses his 14 years of digital marketing and web experience to create actual success in the form of new customers, high traffic, and quality leads that bring in sales! A large part of social media relies on the visuals that you create for, and with, your content. Social media is, after all, about being creative, and certain platforms like Instagram and Pinterest are created around the idea of images that make people interested and encourage them to interact. That’s where Donna Mortiz comes in. A social media marketing influencer, Donna is the founder of Socially Sorted, her own marketing business where she collaborates with business owners to make their content pop with the aid of visual storytelling! Her blog, Socially Sorted, is award-winning, and is chock full of amazing content that revolves around digital content, and driving traffic and reach back to you and your business with the help of content that not only reads well but looks well, too. When interacting with Donna, you’ll find that what you knew about social media can be reworked, reevaluated, and redone into something wonderful. For all the focus we put on the quality of the content we’re writing, we never stop to think about the best way to present that content, and Donna is the leading expert in visual content, and social media marketing in general. What started out as an unsure foray into photography soon turned into a powerful one-woman business, and Jasmine Star has surely made a name for herself both as one of the best social media marketing influencers, as well as an extremely successful entrepreneur. Building her own business in 10 years, Jasmine climbed the ranks in the photography world, and has since been included in lists naming her one of the best wedding photographers in the world! Her business is entirely hers, created from passion and education, and she’s teaching people how to do the very same. An engaged entrepreneur and digital marketer, Jasmine shares her story with young business owners who are looking to find that same spark of success that she’s created. On top of her growing photography career, Jasmine acts as a keynote speaker, telling her story and giving marketing and branding advice to entrepreneurs all over the place. 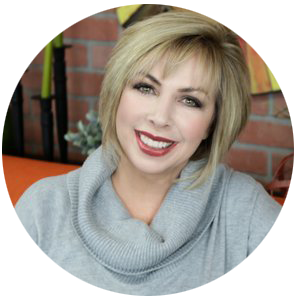 Kim Garst is an unstoppable force in the digital marketing sphere. The best selling author, an international keynote speaker, one of the most retweeted people in the world among the digital marketing space, and one of the best social media marketing influencers to date, Kim is an expert in all things social media. With her company, Boom! 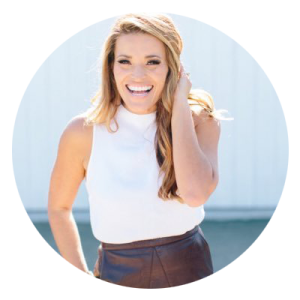 Social, Kim works closely with business owners and entrepreneurs to build their brand, increase their outreach, raise their sales, and earn a profit through motivation, inspiration, and education. Founded in 2012, Boom! Social is one of the top social media marketing agencies and is ranked among the best of the best with high-class clients and brands around the world. In addition to her business, Kim also writes and curates her own marketing blog, where you can get the inside scoop on how to effectively harness a variety of social media platforms for your growth, lead generation, and traffic flow. Live video and live streams are just surfacing with their power among the digital marketing scene, but millennial expert Brian Fanzo is ahead of the game, and ahead of the curve. One of the top social media marketing influencers, Brian has made a name for himself as the Live Streaming Video Evangelist, and has been dipping his toes into the live video marketing game since 2014! 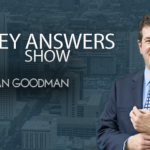 Brian is also the host of not one, but two marketing podcasts, and is heavily featured as a keynote speaker to not only tell his story but encourage business owners and entrepreneurs to collaborate and do the best that they can to find their success. By embracing the culture of millennials, Brian has worked hard to show that you don’t need to be defined by how old you are, or when you were born. People tend to think that younger generations have a better hold on technology, due to them growing up with the changing times. However, Brian puts all preconceived notions to rest with his energetic displays, and his passion for what he does, and how he knows he can help other people do the very same. By putting his passion for social media first in his digital marketing endeavors, Koka Sexton quickly became one of the top social media marketing influencers and uses his education and experience to teach others how to find their best selling points by harnessing the power of social media. With a proficiency in a variety of platforms, though LinkedIn seems to be his strong suit, Koka teaches business owners how to efficiently create new opportunities with the lead generation that results in customer interaction and growth. With his teachings, Koka informs business owners how to best leverage social media for profitable gain and a larger outreach, and specifically works closely with Twitter and LinkedIn to drive these points home. Additionally, Koka is featured as a speaker on these topics, with over 10 years of experience in the social marketing field and the credentials to back it up. Among the top-ranked social media platforms is Twitter, a popular and easy way to reach out to people with small snippets of information that can lead them all over the internet. The connection is important with Twitter, which spans around the world as one of the most used social media applications, and Twitter expert Madalyn Sklar is one of the best social media marketing influencers around to teach you how to properly use that popularity in order for your digital marketing and business endeavors. With 22 years of overall digital marketing experience, as well as 13 years as a social media marketer, Madalyn teaches business owners through her podcast and her blog how to properly use Twitter for business-related purposes. By learning her best tips and tricks, Madalyn encourages people to use Twitter to grow their business, their audience, and to increase traffic back to their website with snippets of content that leave them wanting more. A social media platform that’s been making its way onto the digital marketing scene as of late is Pinterest, and knowing how to use such an image-based platform for business-related endeavors can be a little tricky. 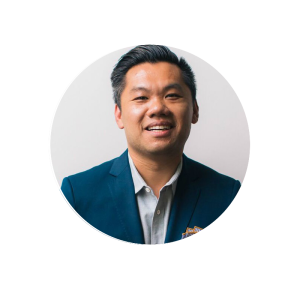 Jeff Sieh, however, know exactly how to crack that code, and is one of the top social media marketing influencers when it comes to using Pinterest to grow your business! Jeff helps business owners find the right content that they need to drive traffic back to their website among the clutter that can sometimes sprout with an image-based social media platform. Jeff puts the statistics to the test and gives you his best tips on navigating Pinterest, what images will work best, and how you can effectively marketing and advertise on Pinterest for business growth and an increase in lead generation. With his page, Manly Pinterest Tips, Jeff helps clear the way for viable, easy to use the Pinterest content. Additionally, Jeff reveals his best tips and tricks—while also collaborating with business owners through his courses—on both his podcast, and his blog! Get your weekly dose of Pinterest content that you can put into action sooner rather than later by tuning into what Jeff has to say. 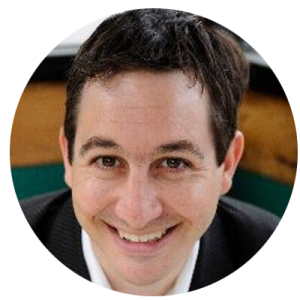 With a social marketing career that started in 2010, Neal Schaffer has easily and quickly become one of the top social media marketing influencers with his intense knowledge on social selling, social media marketing strategies, and his career as a social media marketing consultant for business owners and entrepreneurs alike. 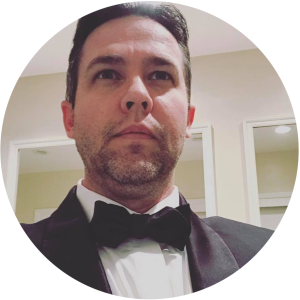 As a keynote speaker, Neal shares his wealth of knowledge and expertise on social media by effectively training people how to harness the power that social media gives us, and how to build our outreach in a quick and strong way. Neal’s expertise spreads over every part of social media marketing you can think of, from the creation and curation of content across social platforms—and how it can effectively increase your target audience with the right message—to acting as a social media advisor for small business owners who haven’t yet dipped their toes into the world of social media marketing. Since 2010, Nicky Kriel—one of the best social media marketing influencers—has been collaborating with business owners on how to get started on a variety of social media platforms like Facebook, Twitter, and LinkedIn. By learning to come more time efficient and effective with the efforts and content they produce and sent out on social media, Nicky helps improve the way that businesses interact with social media, giving them an edge up above the rest and taking their social media endeavors to the next level! 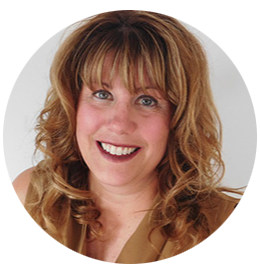 As a social media coach and trainer, Nicky enjoys working with business owners that want to build an online presence with their social media accounts that ties into their overall business strategy. Additionally, Nicky puts her expertise to the test in teaching business owners how sites like LinkedIn can increase a business’s sales, while also building a strong foundation of trust and loyalty with a growing audience and client base! The weight that social media has on the success of a business is stronger than ever in this technological age, and social media consultant and strategist Andrea Vahl agrees that the use of social media is a game changer in the world of small businesses. Andrea is one of the best social media marketing influencers, and her strong grasp on the way Facebook can be leveraged for your growth and success helps small business owners understand how to utilize that power, how to find and connect with their audience, and how to turn those connections into sales. 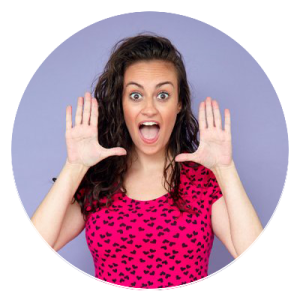 Andrea has been in the marketing field for years, and though she found many tutorials on how to engage in the world of digital marketing, she found that none of them were entertaining enough to pop! That’s where Grandma Mary comes from—a character of her own design that gives her best social media marketing advice with business owners, and top marketers in the field. Additionally, Andrea is the co-founder of the Social Media Manager School, an agency that helps students understand the basics of digital marketing, and kickstart their business careers! 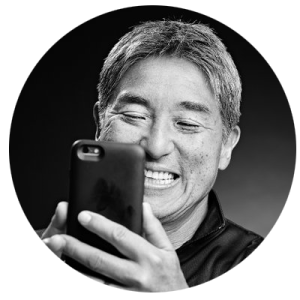 The chief evangelist of Canva, an online marketing design tool that enables entrepreneurs and business owners alike to create wonderful and seamless images to share across social media, Guy Kawasaki has made a name for himself not only as one of the best social media marketing influencers, but as an overall success story in the world of digital marketing. With a laundry list of top rated brands and clients (does Apple ring a bell? 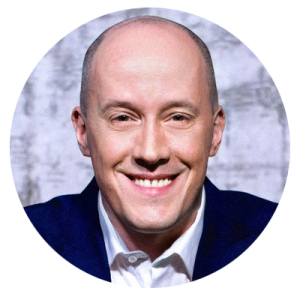 ), Guy has written 13 books, cementing his titles as best selling author, and is a keynote speaker on such topics as social media, entrepreneurship, and innovation to look ahead into the future. Guy’s list of credentials is just too long to list, but you can rest assured knowing that there’s a very small section of the digital marketing world that Guy isn’t involved with. His dedication to his cause, and to teaching fellow entrepreneurs how he got to where he is (and how they can do the very same), Guy is an international hit, and definitely among the very best of the best. 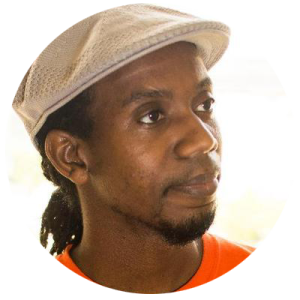 A video marketer extraordinaire, Roberto Blake has had an interest and passion in video marketing since he was a child! With the intense curiosity for capturing the world one snapshot at a time, Roberto worked his way up through the business world and found his calling card in the ever popular YouTube. 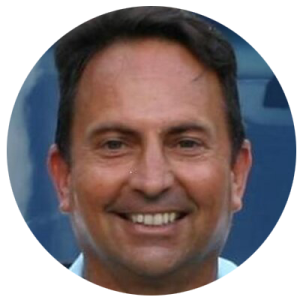 Nowadays, Roberto uses his intelligence and expertise as one of the best social media marketing influencers, and teaches business owners and entrepreneurs the power of YouTube marketing with his amazing business, Create Awesome Media! 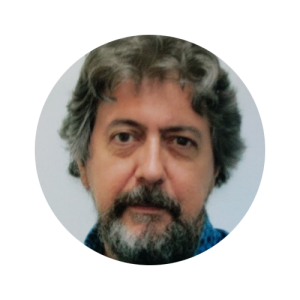 By leveraging his skills in graphic design, video editing, and photo editing, Roberto can create and inspire amazing content for a variety of social media platforms. Additionally, Roberto is the host and co-producer of his YouTube series, “Always Be Creating”, which gives business owners and viewers alike some of the best marketing tips that can be leverage and created by establishing a strong YouTube and video presence! A blogging expert and co-host of a social media marketing podcast, Brian Gregg Peters has made a name for himself with his extensive knowledge on social media for businesses endeavors and marketing expertise, making him one of the best social media marketing influencers. With his passion for writing at the forefront, Brian writes for a variety of sources, including Entrepreneur.com and Buffer. Additionally, he’s half of the amazing team that hosts Buffer’s social media marketing podcast, The Science Of Social Media. By leveraging the intel he has about the way social media works, and how to tackle changing topics and algorithms in the constantly updated work of social media, Brian offers a refreshing and light take on the struggles that business owners are facing in the here and now, and his advice and tips are intelligent, sharp, and innovative. 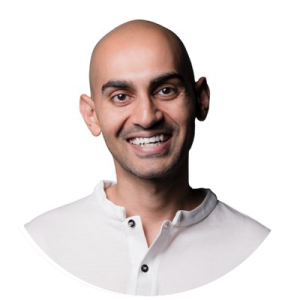 A digital marketing expert with a focus on growth and content marketing, Sujan Patel has made a name for himself among the best social media marketing influencers with his dedication to regular and consistent blog posts, and his expertise that helps businesses and business owners grow exponentially with his knowledge on social media! 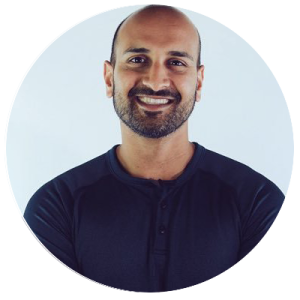 The co-founder of Web Profits—a growth marketing agency—Sujan is a staple of the digital marketing realm. In addition to his agency, Sujan is also an avid blogger! With 6 regular blog posts a week—yes, you read that correctly, 6 in one week!—Sujan writes for a variety of publications, notably Entrepreneur Magazine and Forbes. That’s nearly one blog post for every day of the week! His blogging expertise makes him one of the best people to speak on content marketing, and what makes an article something that you, a business owner, and use successfully. 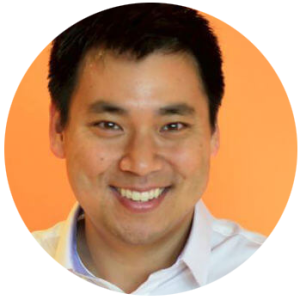 Author of over 650 essays on a variety of digital marketing topics, Andrew Chen has been making waves as one of the top social media marketing influencers for the past decade. His areas of expertise focus on bottoms up sales strategy, consumers, and SaaS. In addition to the writing and the content that Andrew produces, he is also a general partner at Andreessen Horowitz, better known as a16z. At a16z—a marketing firm based in the Silicon Valley that backs entrepreneurs paving the way towards tomorrow with the power of technology. By respecting and understand the entrepreneurial spirit, Andrew and the team at a16z aim to connect these up and coming business starters with top investors, executives, engineers, and industry experts while they climb their way up the digital marketing ladder in search of their own success story! A growth marketing expert, and one of Forbes Top 10 Digital Marketers of the past 2 years, Angie Schottmuller has made a name for herself as a top marketing consultant and strategist. By focusing on ROI (return of investment), Angi has been able to skyrocket businesses and business owners to success! With a deep understanding of the way customers think, the technology that’s aided by data-driven inputs, and a positive attitude that reflects in the way she communicates to others, Angie is a top consultant in the digital marketing field, as well as a wonderful keynote speaker on the subject. Combine that with her amazing training workshop, where you can learn the best growth hacks for your business, it’s easy to see why Angie is one of the best social media marketing influencers. When we think about search engines, our minds immediately land on Google. 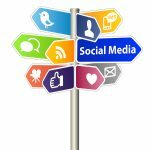 However, with other options out there that cater more specifically to the needs of answering questions for clients, we tend to forget that these social media platforms exist, and the untapped power that they hold. Derric Haynie, CEO of Vulpine Interactive (a social media marketing agency)—and one of the best social media marketing influencers—changes the game with his extensive knowledge on a social media platform that works wonders for lead generation: Quora! What is Quora, exactly? If you can recall Yahoo! Answers, Quora functions in the same vein. People will ask questions about problems that they’re having, and a variety of members will provide answers and resolutions to those problems. Overall, it’s the perfect ground for digital marketers to offer their services towards people who don’t know where to go to get the job done that’s required, and Derric knows the best ways to work with Quora’s algorithm, giving you nothing but the best results. Known in the digital marketing sphere as the “LinkedIn Expert”, Viveka Von Rosen has been using LinkedIn since 2006. In the past 12 years, Viv has learned almost everything there is to know about using the power of LinkedIn for your business related needs, making her one of the top social media marketing influencers of this day and age. The host of the biggest LinkedIn chat on Twitter, Viv leads thousands of business owners, entrepreneurs, and interested readers in a discussion about what you can be doing on LinkedIn, opportunities you’re missing, and the best way to build and grow! In addition to her LinkedIn business ventures, Viv has also written several books on the matter—“LinkedIn Marketing: An Hour A Day”, “LinkedIn Security: Who’s Watching You“, and “LinkedIn: 101 Ways to Rock Your Personal Brand“. 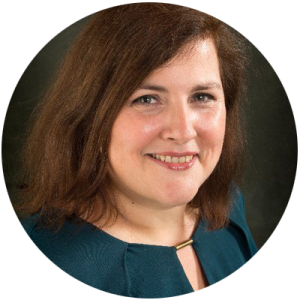 On top of that, Viv is also the co-moderator of Social Media Marketing Consultants, the largest LinkedIn strategy group on LinkedIn! It’s safe to say that she’s earned the title of LinkedIn expert fair and square. And… that’s all she wrote! 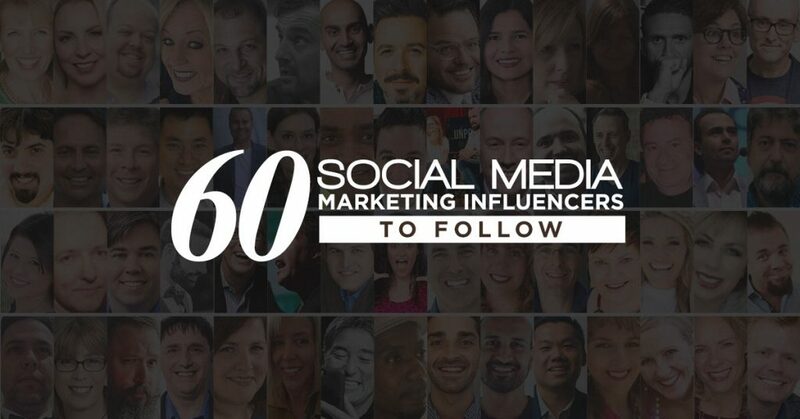 I know, the list seems intimidating and overwhelming, but providing you with the best information possible about the top social media marketing influencers makes your life easier down the road—trust me! A business owner needs to know who they can trust, and the best information out there can be learned from the best of the best in our digital marketing sphere. Finding someone that matches your specific needs, however, is where searching gets exhaustive, and that’s where I truly hope this masterlist comes in handy!